Q: We have noted that the 15th Senior Officials' Meeting on the implementation of the Declaration of Conduct of Parties in the South China Sea (DOC) will soon be held. Could you give us more details? 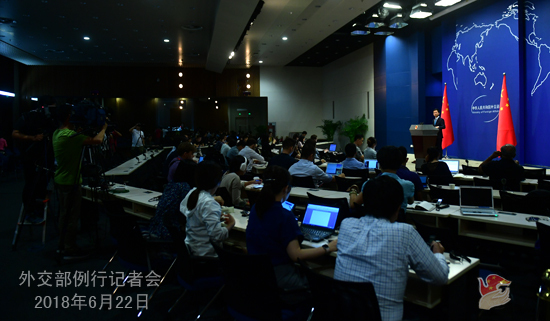 A: China and the ASEAN member states will hold the 15th Senior Officials' Meeting on the implementation of the DOC in the Changsha City, Hunan Province on June 27. Vice Foreign Minister Kong Xuanyou and senior diplomatic officials of the ASEAN member states will attend this meeting. The Senior Officials' Meeting will be held consecutively with the 24th Joint Working Group Meeting on the implementation of the DOC. China and the ASEAN member states will have a thorough discussion on the implementation of the DOC, maritime practical cooperation and consultations on the Code of Conduct in the South China Sea (COC). 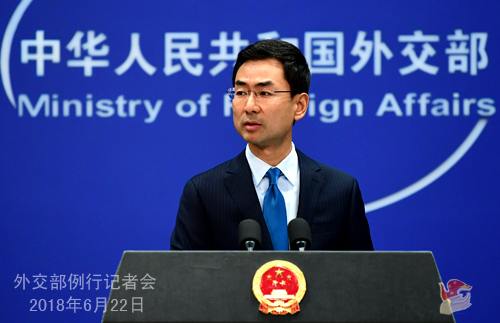 Currently, thanks to the concerted efforts made by China and regional countries, the situation in the South China Sea has cooled down and is stable, demonstrating a sound and positive momentum. All parties shall continue to maintain dialogue and cooperation, strive for more outcomes and positive progress, and create more favorable conditions to consolidate the current sound situation. Q: A Chinese national Qin Shuren was arrested in the United States yesterday on charges that he conspired with the Chinese military to export equipment that could be used for submarine warfare. What is your response? A: I am not aware of what you mentioned. Q: According to reports, Chen Min'er, member of the Political Bureau of the Communist Party of China (CPC) Central Committee and Secretary of the CPC Chongqing Municipal Committee, will head a CPC delegation to visit Chad, Egypt and Tunisia from June 24 to July 2. What is the purpose of this visit? A: I do not have the relevant information for now. I will check on it after the press conference. Q: According to the US media, the US military aircraft pilots were targeted by lasers from the Chinese-flagged ships more than 20 times over the past few weeks. Can you confirm this report? What is your comment? A: As we learned from the competent authority, the accusations against China made by the US media are groundless and sheer fabrications.